Hey, let’s outlaw everything that even looks a little like marijuana! ​Kansas may be millions of dollars in the red and facing a host of real problems, but the Legislature there has a rather curious sense of priorities, passing a law against fake marijuana. The Kansas House of Representatives endorsed legislation Tuesday to ban the ersatz weed, sold as incense under the brand name K2, reports David Klepper at the Kansas City Star. Police say the substance is increasingly being used by teens and others looking for the effects of marijuana but whom, for whatever reason, cannot get pot. 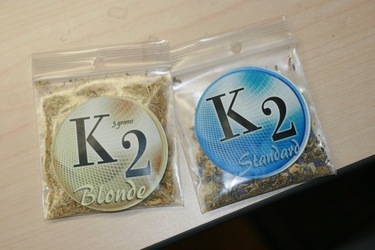 K2 “herbal incense”: I like pot as much as the next guy, but I’d have to think awhile about smoking this crap. 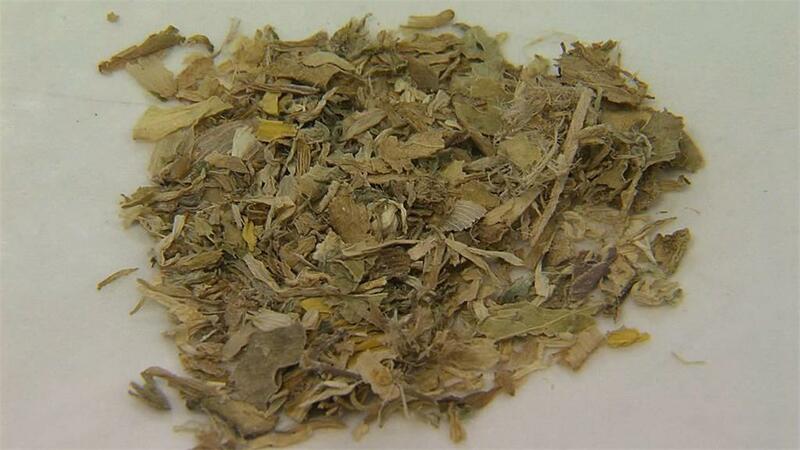 ​Three-gram bags of the stuff sell at head shops and botanical/herbal stores for $15 to $30. K2 is officially sold as “incense,” and the company claims its product isn’t meant to be smoked. The Pitch‘s Peter Rugg was even more enthusiastic. Rugg noted that the effects of K2 wore off more quickly than those of marijuana, though. “This is the kind of thing you could do on your lunch break and be back to work on time and clear-eye,” he wrote. “Because the effects are so short-lived and so minor compared to how I feel come 2 a.m. in my favorite bar, it seems equally silly for legislators to make this a priority, or huff and puff and keeping it legal,” Rugg wrote. “If K2 is banned before you get a bag, you didn’t miss much,” Rugg summed up. Lawmakers said they wanted to ban the drug before its use became more widespread. “This is the new drug of choice,” said Rep. Rob Olson (R-Olathe), the bill’s sponsor. Possession of K2 or similar brands would be a misdemeanor under the proposed law. The Kansas State Senate passed similar legislation in January. After a final House vote Wednesday, lawmakers from both chambers of the Legislature will work out any differences between the two bills before sending the bill to Gov. Mark Parkinson’s desk for a signature. Kansas would be the first state in the nation to outlaw the product. Readers of the Kansas City Star’s “Prime Buzz” greeted the proposed ban with a chorus of derision. “Hundreds of millions of dollars in the red, so let’s focus our efforts on something that impacts a couple hundred residents,” jeered another reader.